jared gets home from school in half an hour, & then i am “off duty”. i mean, ramona is napping right now anyway, but it’s still nice to know you’re not the one that has to spring into action when she wakes up. i am wiped out. ramona has adjusted to the time change & is now getting up at 7am, which is actually really nice. i like for her naps to be on the earlier side. i’m not a huge fan of days like today, when she naps until just a couple of hours before her bedtime. i also like getting up early & having some time to work on my own stuff before i have to start baby duty. before the time change, i could not force myself to get out of bed before 8:30am, & then i barely had time to make coffee, eat breakfast, & pump before it was showtime. forget about taking a shower or even changing out of my pajamas. but on tuesdays, i get extra time in the morning. instead of the usual 9:30am-5:30pm schedule, jared takes her “until her morning nap”. which had been something like 11am. but now that she’s getting up earlier, she woke up from her nap at 10:30am. & he had writing group & wasn’t due home until 6:30pm. that’s only eight hours, same as my usual day, but with only one nap in the mix. it was EXHAUSTING. by the time jared got home, i was literally struggling to form coherent sentences. thankfully, jared whisked ramona into the ergo & i was left to lay on the couch & try to recuperate. i don’t think it worked because i’m still worn out today. i’m feeling really stifled by living in such a small house, so i decided i need to sort through my stuff, do another purge, & re-organize everything. i do this every few months. i just can’t stand to have too much STUFF laying around. this is why i’m not really into decorative stuff, like figurines or…i don’t know…bowls of pine cones or whatever. i like to keep surfaces clear & i like everything to have a clearly-defined purpose. when ramona’s dresser gets too full, i sort through everything & get rid of stuff. she has three canvas bins for toys & they’re not full yet, but if they ever get there, i will go through & get rid of stuff. etc etc. i keep a kind of “junk drawer” in my dresser. i guess it’s stuff like headbands, the case for my laptop, art paper too big for my desk, etc. there were a bunch of binders & folders full of paperwork from the NICU in there. i swear, the hospital cut down an entire forest just to generate all the paper they sent us home with. ramona is almost a year old now; i think i can safely lose the hand-outs on “the grandparents’ special role in NICU”. i cleared everything out, consolidated, & re-organized. then i tackled the closet. i have a pretty big closet, so it holds all of my clothes, shoes for both jared & i, extra linens, our zine collection, old journals, my extra sewing machine, suitcases, all kinds of stuff. i emptied the whole thing & re-organized it to get everything up off the floor. ramona decided to join me, which wasn’t awesome. she wanted to be right underfoot, chewing on my boots or sneakers or whatever. i was really nervous about dropping an armload of notebooks or extra sheets on her head, but i managed to get the job done without interrupting her important shoe-chewing work. i was just tossing the last bit of schmutz in the trash when i heard *bam* *WAAAAH*! she had somehow fallen over while just sitting there doing nothing. 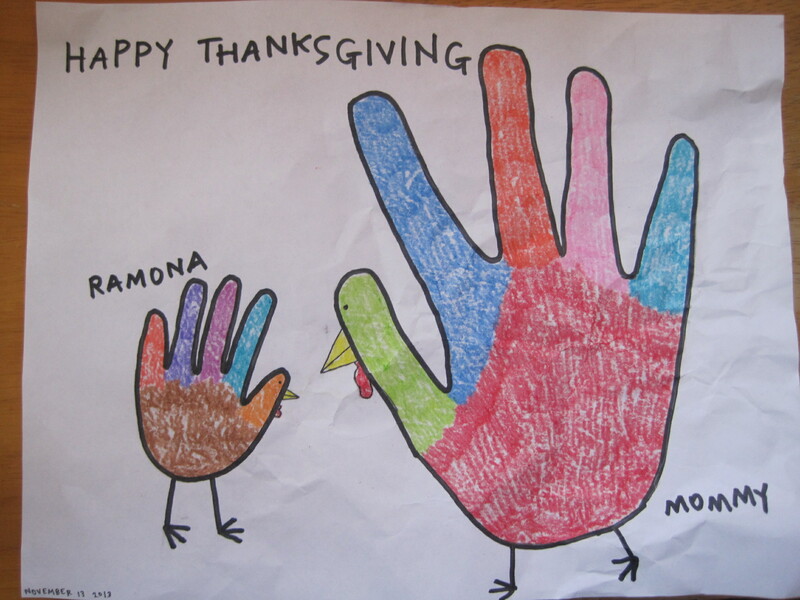 well done, ramona. so she screamed for a good long while. looking in the mirror didn’t help. knocking down mom’s block tower didn’t help. songs didn’t help. i finally got a bottle in her & she chilled out enough to take her afternoon nap. it always makes me laugh when ramona falls over though. because, obviously, she is a mobile baby. she can sit up, she can crawl, she can kneel. she can do lots of stuff. but when she falls over, she just lays there & screams while looking very surprised. she makes no effort to sit back up. it was kind of funny even when she couldn’t sit up, just because she looked so weird. but it’s even funnier now that she can get up if she wants to. baby, you look ridiculous. pull yourself together! the whole hysterical baby thing was very exhausting, & i still had to pump, clean out my desk, & wash the dishes. so i treated myself to a new winter coat. i noticed that the lining in my current winter coat is torn. i could probably fix it. or not fix it & wear it anyway. i mean, it’s not a big deal. i really just wanted an excuse to buy a new coat. who knows if it will fit, because i bought it on the internet & that’s always a dicey sitch. but we’ll see.